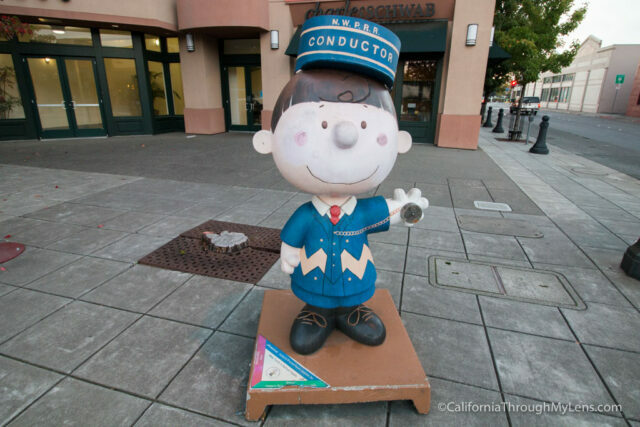 Santa Rosa has become the official home of the beloved Charles M. Schulz comic strip Peanuts, and in Sonoma County there are a bunch of fun things you can do as either a die-hard or casual fan. I would say that I have an appreciation for the characters since I grew up watching both the Christmas and Halloween special, so when I visited for a few days I set out to find some of the most popular fan spots and help others do the same. If you are a Peanuts fan or if you just want to have a fun adventure with your kids, check out this below guide. 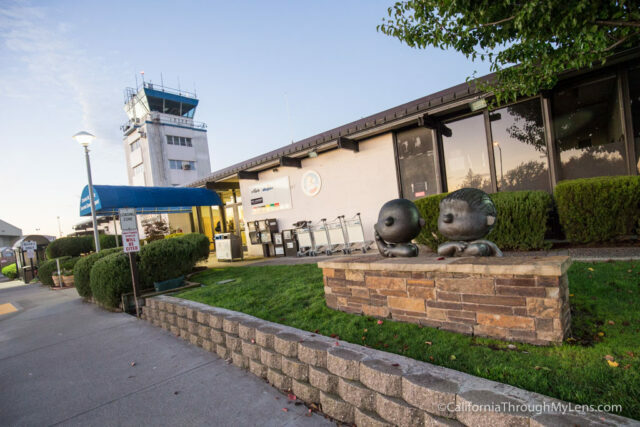 If you are flying into the Santa Rosa Airport, then this will be your first stop, but even if you are not flying in here you probably still want to come up and see some of the sculptures they have. 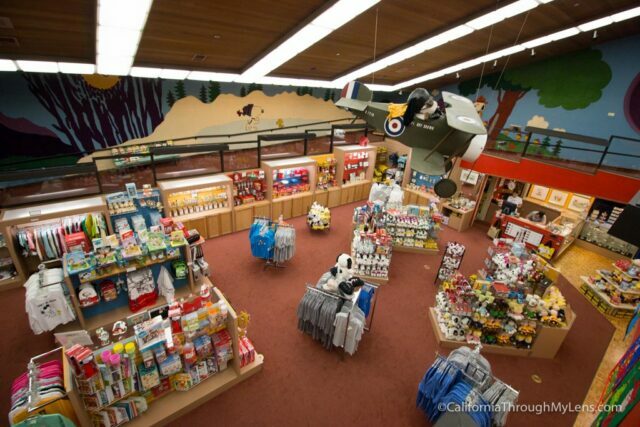 The airport itself is named after Charles M. Schulz, so it is worth the visit just for that. 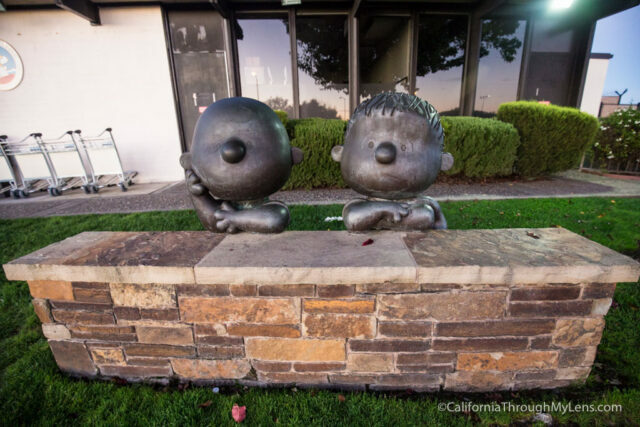 The main sculpture they have is a bronze one of Linus and Charlie Brown leaning on the bench and having a conversation. You can also go into the terminal and see some of the other sculptures if you would like as well. 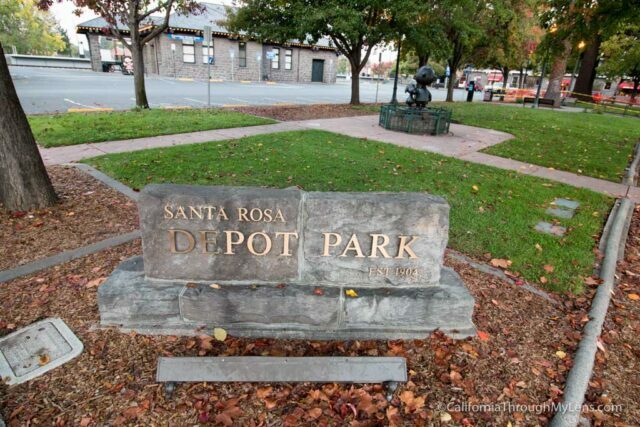 Heading out from the airport, you will want to make your way down to Railroad Square which is the old historic downtown in Santa Rosa. This is a great spot to get a coffee or a bite to eat and just walk the streets. 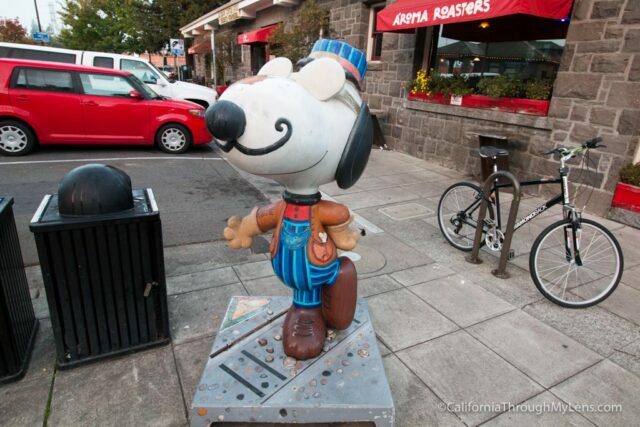 You can also see the original statue from the statue program here, a bronze statue of Charlie Brown and Snoopy. 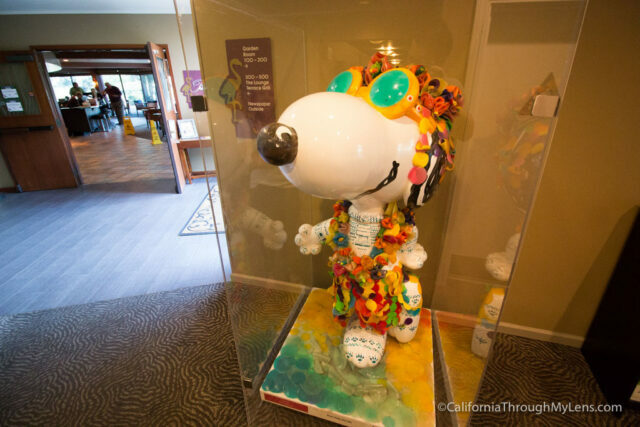 As you walk around you will see more statues such as Woodstock and Lucy so be sure to continue exploring. 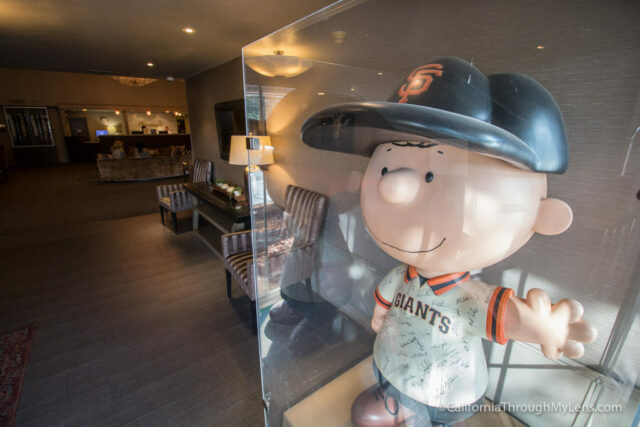 From here you will want to head to the museum and dive fully into the world of Peanuts. 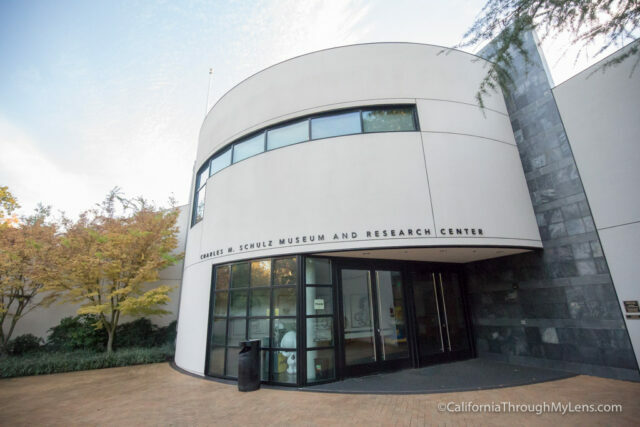 You can read an entire post I wrote about the museum here. 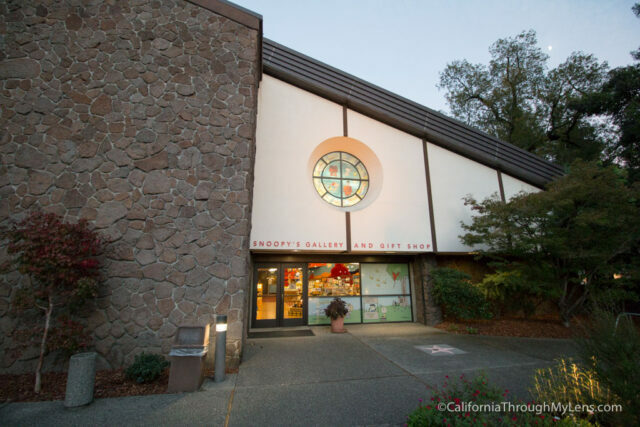 The museum is great, and it runs the gauntlet between being fun for adults and for children. 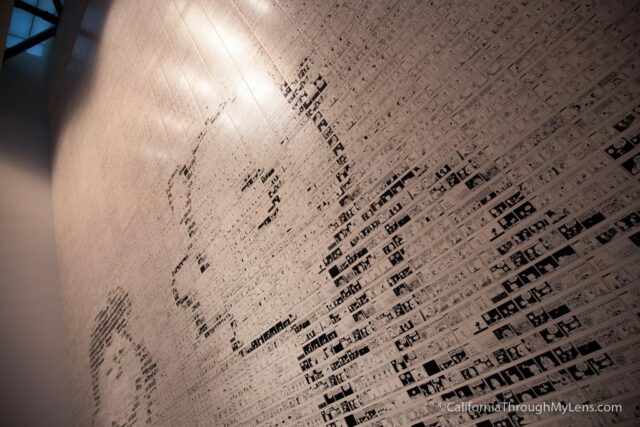 The highlights for me are the kite-eating tree out back and the comic mosaic wall in the lobby. 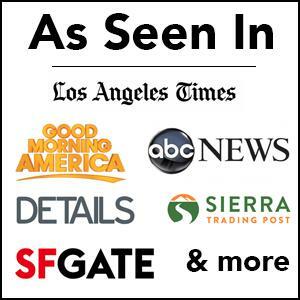 I would recommend at least an hour to experience it all. 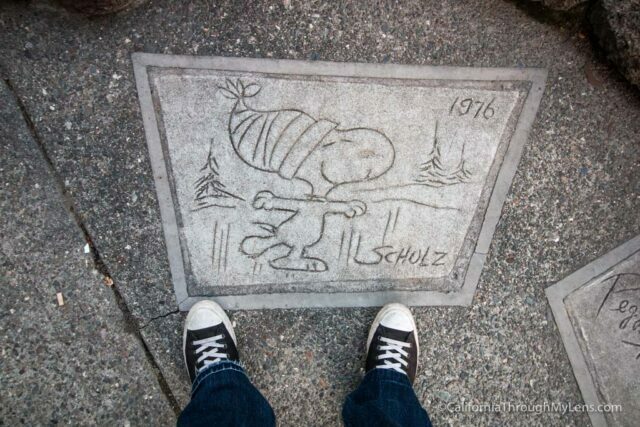 Right across the street from the museum is Snoopy’s Home Ice. 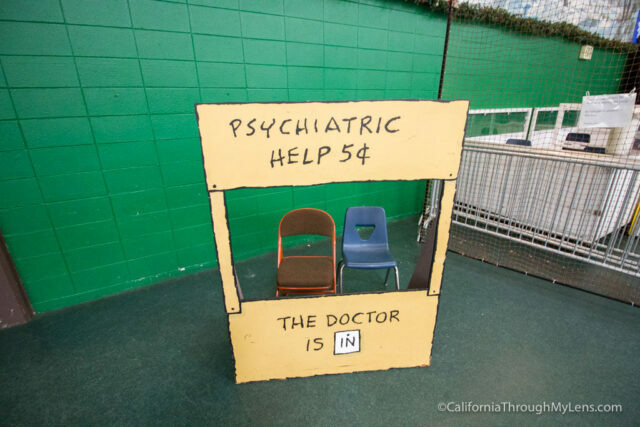 This skating rink was created by Charles Schulz himself and it is still a huge attraction to this day. 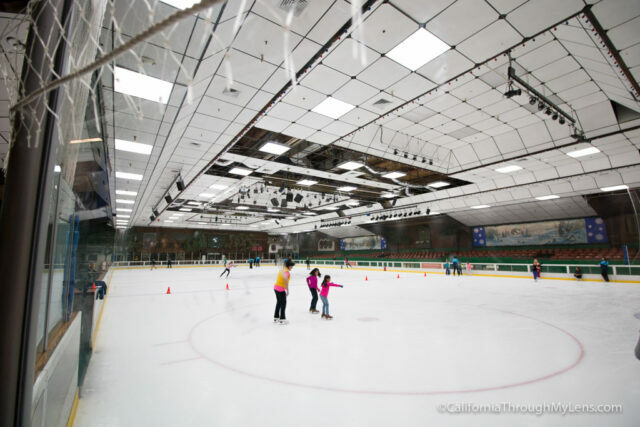 Grab some skates and head out on the ice to get the full experience. Read more about it here. 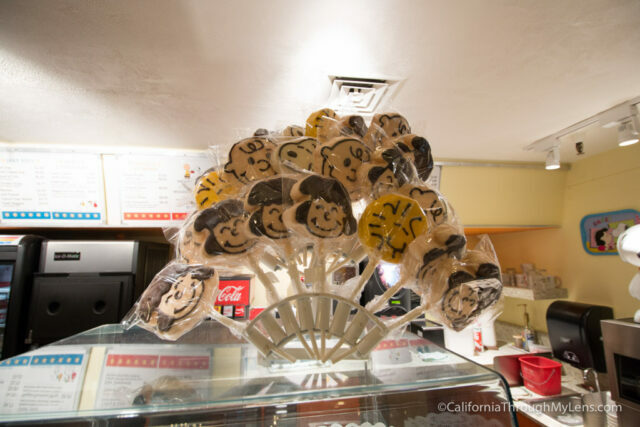 If ice skating isn’t your thing, then head to the Warm Puppy Cafe and get a Beagle Burger or a Rice Krispy treat of one of the characters. 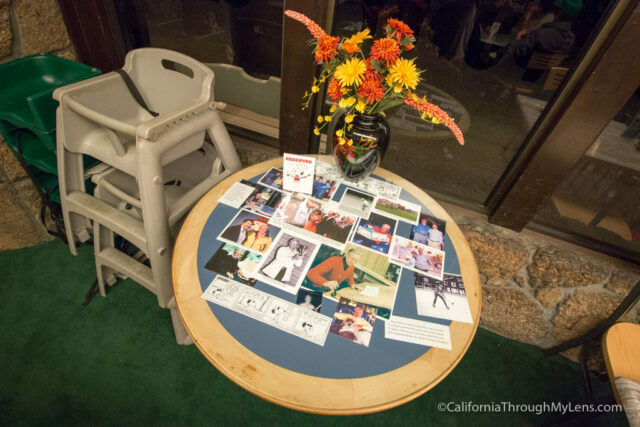 Be sure also to check out the table that Mr. Schulz used to sit at and that is now permanently reserved for him. Out in front of the ice rink is a bunch of signed cement slabs from people who have played here or were friends of Mr. Schulz. The highlight through is Charles Schulz own signed concrete block, complete with a small drawing in it. 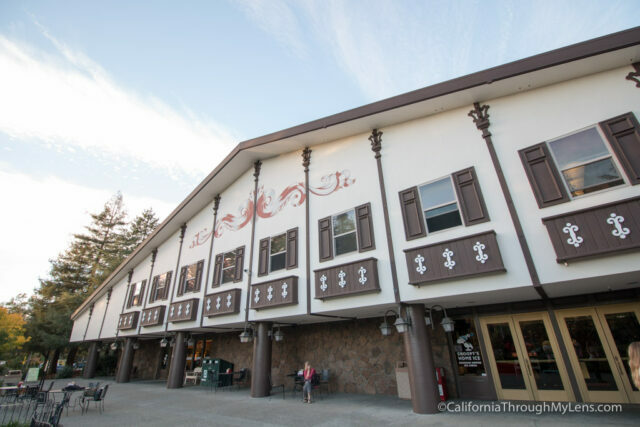 After visiting the ice rink, cross the next street and head to the gift shop. 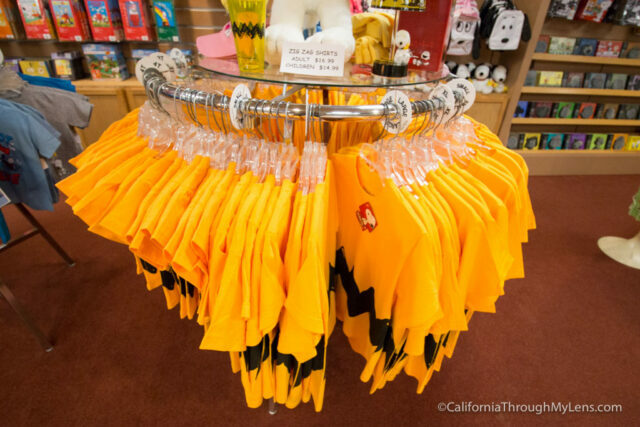 This is the spot for all things Peanuts, including your own Charlie Brown T-shirt. 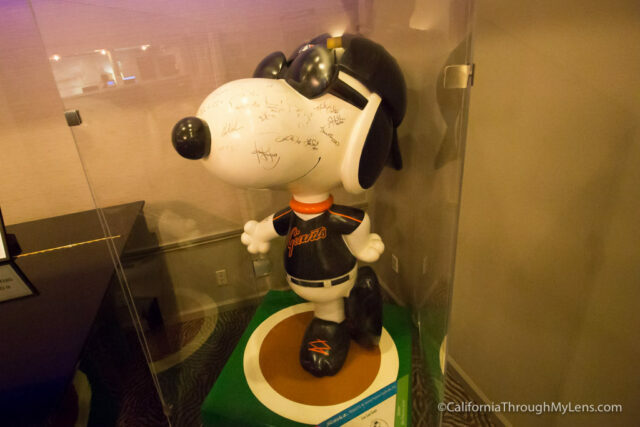 On the second floor of the gift shop, there is another small exhibit with lots of different pieces from Peanuts history. 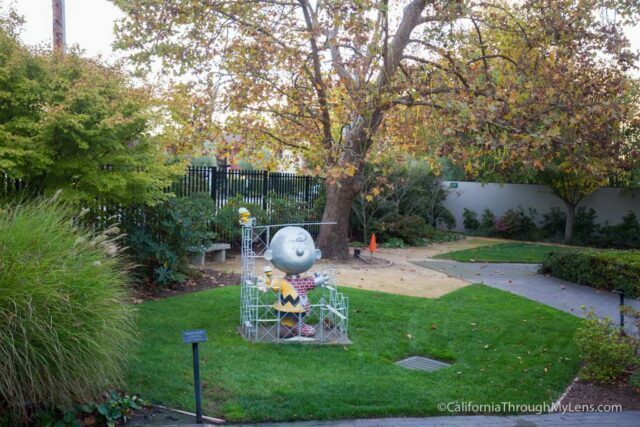 I enjoyed exploring this area as there were some fun sculptures on the walk up and a chronological exploration through the history of Peanuts on the back wall. 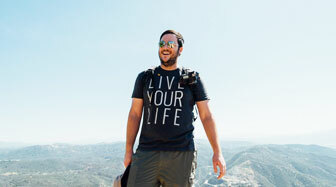 After leaving the gift shop head over to the Flamingo Conference Resort and Spa in Santa Rosa. This hotel is the largest holder of these statues, and they currently have eight throughout the property. There are three just in the lobby, so at least walk in and check those out. 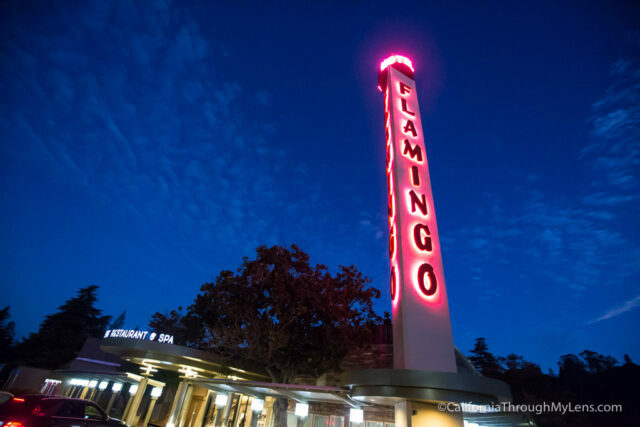 Also, if you are looking for a place to stay, read my review of the Flamingo Conference Resort and Spa which was a fun property that I stayed at. 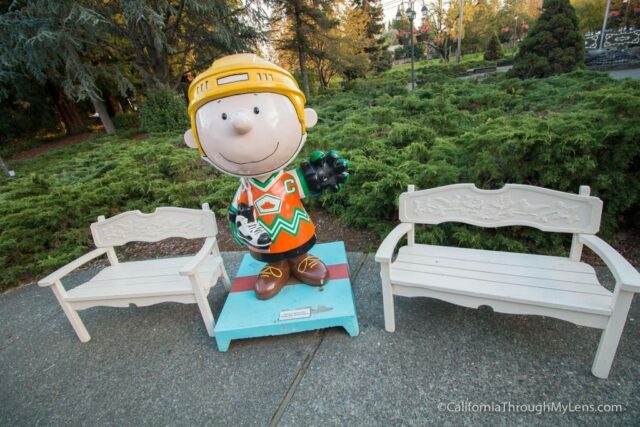 This completes my time exploring Peanuts history in Santa Rosa. Check out the video I made on it here and be sure to leave a comment below with your thoughts.